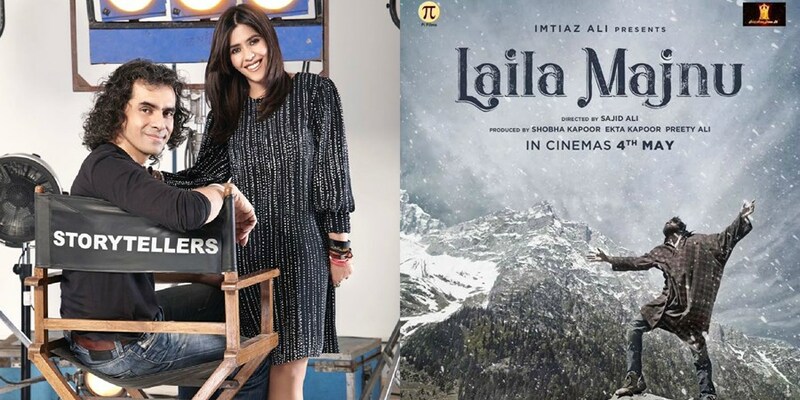 #EktaKapoor gearing up for #LailaMajnu said it may not be the biggest hit of the year but, it is the must satisfying film she made. 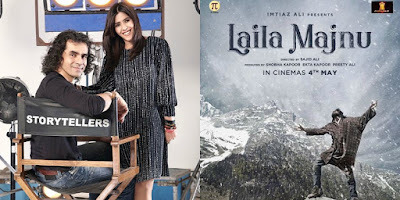 Ekta interacted with media along side co producer Imtiaz Ali, director Sajid Ali and the film's cast at the trailer launch of her upcoming film 'Laila Majnu' on Tuesday. When talking about casting newcomers in the film Ekta said, she does not want to burden the cast. "Many films have been released with star kids but these don't have that burden on them. People should like the film that is good enough. It may not be the biggest hit of the year but it is the most satisfying film I have made"
Co producer Imtiaz Ali who was also present added the reason behind the new cast, "What we wanted was when people watch the film it should feel like they are watching laila majnu. It should feel like they are watching their story which is why we opted for newcomers. We auditioned for a year and half and saw many actors but Avinash was one of the first few we autioned and he stayed till the end and Tripti came in towards the end. " The film's trailer hints on Majnu's character taking a dark turn when asked if he will be seen a new version of the story, Imtiaz said, "When somebody become very passionate they become very intense. I don't know if it is dark or not but its not like he becomes a villain because this is the same story as 'Laila Majnu' we have tried to incorporate the story very cleverly. We haven't made any changes. So the story's intensity stays the same." Based on the classic love story of 'Laila Majnu' the film stars, Avinash Tiwary and Tripti Dimri, in lead roles. Directed by Sajid Ali the film is scheduled to release on 7th September.